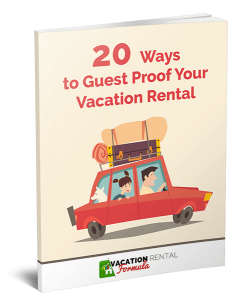 Put yourself in your rental guests' shoes. Perhaps you live in a high-rise condo building. You have a small balcony overlooking another high-rise condo building, so the only time you can enjoy fresh air and better views is when you get away from home. 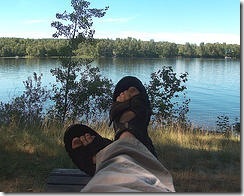 You've rented a cottage and spent the last few months counting the days to your vacation, which has finally arrived. All that planning and packing is done; there are juicy steaks in the cold box; the beer and wine is already chilled and you just can't wait to get there and get that barbecue going. You finally join that line of traffic heading north to cottage country and the excitement is high. As the jumble of buildings and bustle of the city are left behind, the anticipation of your vacation grows, until eventually you turn onto the cottage road for the final leg of the journey. You have arrived. But what happens when your first impression of your vacation home is less than positive; when the reality of your chosen location does not match the anticipation, and that heady excitement evaporates and turns into disappointment? This is a situation that occurs over and over again during the rental season when vacation home owners haven't applied diligence to the changeover; have neglected to check some basic facilities and paid scant attention to the first impression their renters are offered. This is one of the commonest causes of complaint on arrival, and in some situations we have heard of guests having to go home because they could not find the key or operate the lockbox. If you change a keyless entry, or lockbox code on each changeover, triple check that it works, and make sure there is a spare key, either with a neighbour, or hidden on the property. Then make sure you check your cell and voice mail messages frequently on changeover day. There is absolutely no excuse for this. Checking there is a full tank for each rental is a fundamental part of the changeover. Always have a spare tank provided at the cottage, and bring a full one for the changeover to swap over. Guests have high expectations of a clean property and will complain if it is not. Even when you ask your guests to leave the cottage in the same condition in which it was found, remember that standards vary widely. Sometimes you'll be blown away by how spotless it has been left, which makes up for the odd time that you have to spend additional time vacuuming or cleaning washrooms. I recall one of my rental experiences where I spent the first two hours cleaning the windows so I could see the fantastic view that had been advertised. It was an experience I will not forget at the start of a longed-for vacation. Something that may seem minor to you as a property owner, may be a significant issue for a renter. A non-working appliance or feature can seem to assume disproportionate importance from your perspective as an owner, but for a rental guest who has anticipated using the item on arrival, anger and subsequent complaints can be entirely justified. When your rental guests only have photos on a web site to show them what to expect, those images are what they should see when they arrive. If you have shown beds attractively made up; a table laid for the first evening meal, and the watercraft lined up on the beach, make sure the reality accurately reflects those images. Most vacation home owners that I know are highly client focused and want their guests to have a great time. They spend a lot of time making sure their property is welcoming and attractive and would be horrified if their renters were not happy. When a problem occurs it is usually a simple oversight and can be quickly corrected, and with a sufficient apology and occasional compensation, can be recovered. Sadly there are some who are simply focused on the ‘cash cow' aspects of rental and providing the money has been paid, have no interest in guest satisfaction. 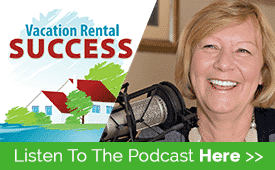 From my standpoint as a responsible vacation home owner, these people – although thankfully in the minority – can be highly detrimental to the rental business and even drive people away from renting at all. If anyone has suggestions on how to regulate the industry and ensure high standards are maintained, I would love to hear them. I’m a renter and recently rented a cottage that did not live up to expectation by any means. No real bed, septic tank that did not accept toilet paper, unclean, no potable water, and the list goes on. On top of this, our privacy was, more than once, infringed upon for extended periods of time by the women taking care of the rental property for the owner. What type of recourse do we the renters have, considering the cheque is cashed and our money is the owner’s bank account? It has not made me averse to renting a cottage again, but it sure does make me worried for the next time. Heidi – this sounds very disappointing and I have emailed you directly with some comments. It sounds as though the information you received prior to the rental didn’t explain thoroughly about cottage country living. There are a couple of things you mentioned that are tied in with the nature of cottage country, such as the lack of potable water (it is common to bring your own) and septic system limitations (in fact you can get one-ply toilet paper that dissolves – we use that in our RV). Genuinely unclean is not acceptable to me, even in the most rustic of cottage, but to many this is covered by their ‘It’s just a cottage” clause. Did you make your complaints known at the time or after your vacation. It is very difficult to make any post rental complaint stick unless you have photo/video evidence. Count me amongst those who have learned their lesson about renting cabins sight-unseen. It was the most drafty, dirty and unliveable “shack” you could have imagined. The worst part was that it looked pretty decent from the pictures (mostly exterior). I learned that this could have been avoided by calling a few of the realtors in the area. Most had refused to rent it until it had been fixed up. Anyway, lesson learned and it’ll never be repeated again. BTW, you can vist my WordPress blog for my business here: Long Beach Air Conditioning if you ever need any handyman tips.